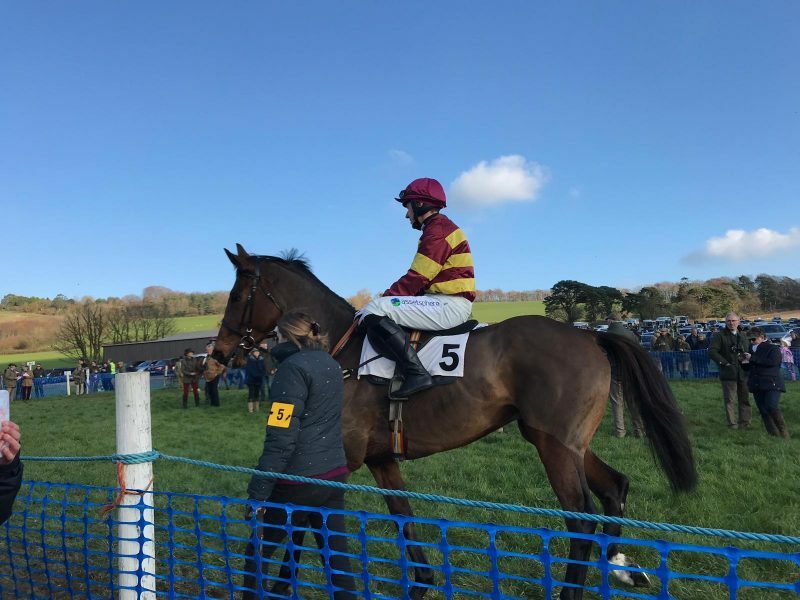 The new sponsorship of amateur jockey Bryan Carver by AssetSphere, saw his first point to point ride of the season this weekend. The Silverton and Mid Devon Point to Point was held on 18th November in Buckfastleigh on what was a glorious sunny day. Bryan Carver riding Navanman trained by John Heard was favourite in the JL Lightfoot Allingeston Stud, Spreyton sponsored Mixed Open race. In the early stages of the race Bryan allowed the field to run ahead and was able to present Navanman at exactly the right time to be able to run in at 6 lengths ahead of the rest of the field tired due to the early fast pace. AssetSphere are extremely pleased to sponsor Bryan this season and look forward to attending more point to points throughout the season to cheer him on.